"Warzone and Buck come to Halo 5"
Developer: 343 Industries Platform: Xbox One Release Date: 27th October 2015 E3 started off with a bang showing the upcoming 343 Industries product that is Halo 5: Guardians. The gameplay footage showed Agent Locke as a playable character as you command a group of Spartans to hunt down Master Chief. In the footage is appears that the Chief is the enemy and has gone rouge. It was confirmed that you control Locke and his group of Spartans, but also Chief and his group. You can command these Spartans in button actions and button presses. These Spartans will be either AI or it can support to up to 4 player co-op. 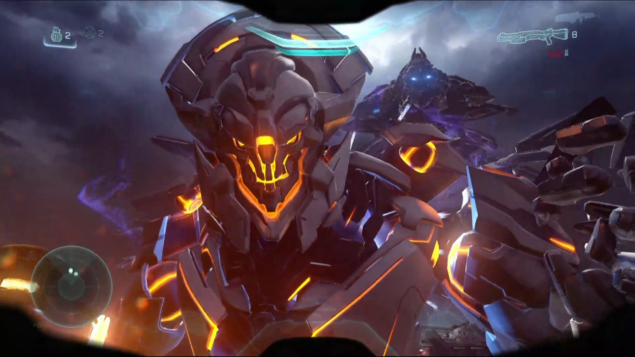 Boss battles has always been a weak suit for the series but the Promethean enemies could offer up more and innovative battles and combat scenarios. Most notably Buck was shown as one of Lockes group. He was one of the protagonist in the popular Halo 3: ODST. Voiced by Nathan Fillion, his witty and sarcastic lines will certainty add to the overall experience. We might even get some insight on his activities after the events of ODST. Next was Warzone, a 24 player, 12 v 12 multiplayer experience, against player and/or AI opponents. 343 confirmed that they will release all DLC maps for free. Stating that these maps would be over 3 times the size of the maps we know and love, these maps will initiate new strategies and tactics that has never been seen in previous Halo iterations. No news about the limited and collector editions of the games as of yet but if there is stick with Xbox Resource for all upcoming Halo news.